Just as the popularity of retro running shoes reaches a fever pitch this summer, it seems like sneaker brands have nearly exhausted the most popular models from their archives. Nike is rereleasing lesser-known Air Max’s from the mid-1990s, and Reebok’s ’80s Ventilator model has endured enough iterations to fatigue even the most nostalgic consumer. 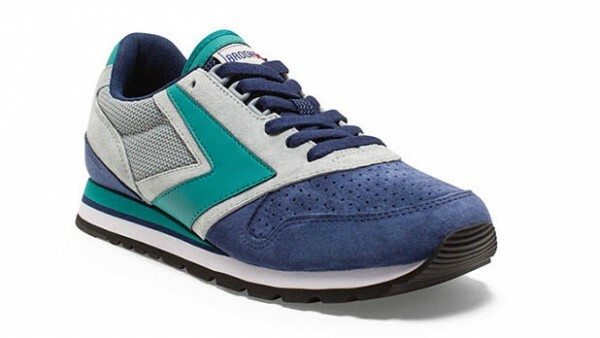 But if there’s one brand that never has to worry about reaching the bottom of the retro barrel, it’s Brooks. The classic shoe company has a 100-year history to pull from, and its Heritage Collection proves that sneaker silhouettes from the ’70s, ’80s, and ’90s look fresher than ever. “Athletic style has been driving men’s fashion over the last 18 months,” says Shane Downey, global director of the Brooks Heritage line. “The evolution of menswear coupled with the fuel of retro running is providing a whole new forum for individual style in the sneaker world.” Brooks Heritage taps into the trend by combining iconic models with eye-popping color ways. Downey, a die-hard sneaker connoisseur with over 500 pairs in his collection, has spearheaded the Brooks retro revival with a vibrant take on the lines’ classic models. A classic ’70s track shoe with a real pigskin upper and a printed rubber outsole, is a lo-fi beauty with clean lines and a perfect blend of comfortable and durable materials. 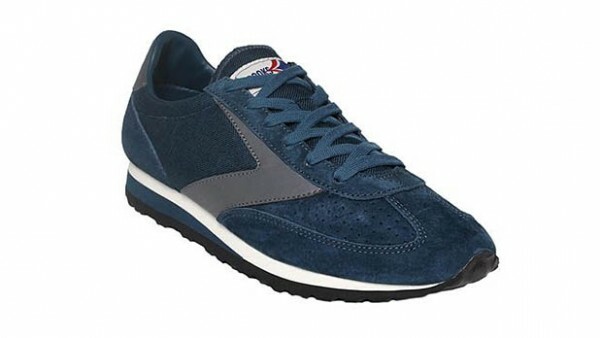 It has a lightweight, low-profile that makes for a perfect summer sneaker, and a no-nonsense vintage cool that would fit perfectly into an indie-rocker’s festival circuit wardrobe. 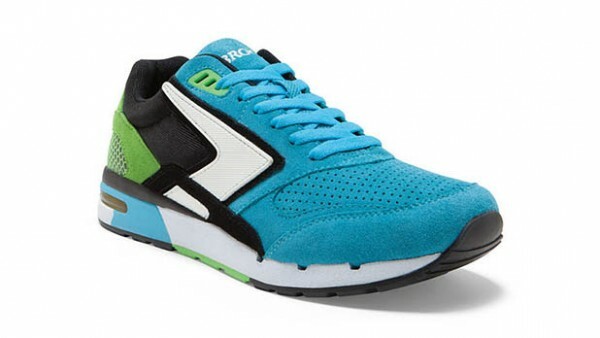 It offers up the retro technology of the quintessential 80s athletic shoe, namely a molded tri-layer cushioned insole that’s comfy enough to compete with anything you’d pull off the wall at a modern Foot Locker. The model benefits from bold color choices, blending a mishmash of vintage athletic colors that look culled from a thrift store rack of ’80’s varsity jackets. Debuting in 1993, it quickly became one of the brand’s most popular shoes. 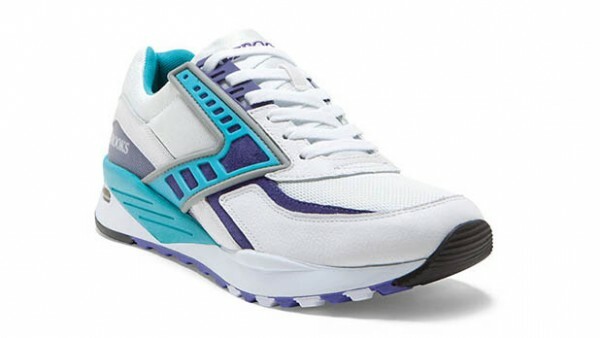 Like its early ’90s peers, it called attention to itself with visible heel cushioning and a detailed logo that shoots across the upper like a hi-tech boomerang. Our personal favorite is the teal and purple model that evokes the early ’90s love affair between athleticwear and the Charlotte Hornets. If you’re drawn to adventurous streetwear, you’ll appreciate the vivid update to the ’90s Fusion model. A “Birds of Paradise” theme adorns every inch of the low-tops, with pops of blue, red, and green that would work as camouflage in the kids cereal aisle. For those who appreciate extra attention to detail, the theme even extends to the Fusion’s customized sockliner. “If you’re confident in your look, and own it, it works,” Downey says.